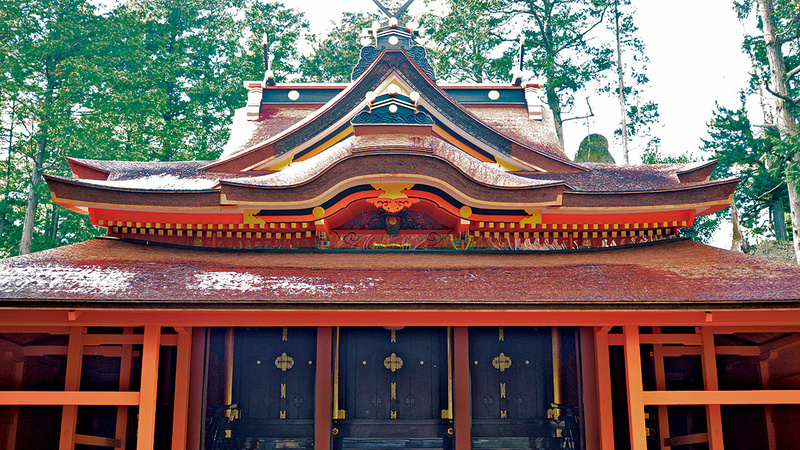 The gorgeously coloured main building of Hando-jinja Shrine stands on the steep side of Mt. Handosan. Historic remains of Mt. Handosan can be seen in the precinct. There are still ruins of temples surrounded by stone walls at Mt. Handosan, one of the most sacred grounds for Shugendo in the Omi region. It is said that the Koka Three Sacred Mountains including, Mt. Iwaosan and Mt. 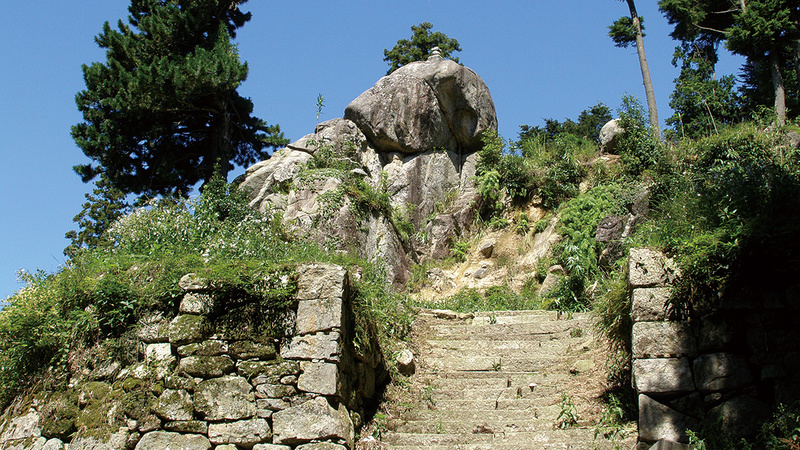 Koshinsan where gigantic rocks rise up into the sky, are training grounds for Yamabushi and practice fields for Koka ninja.